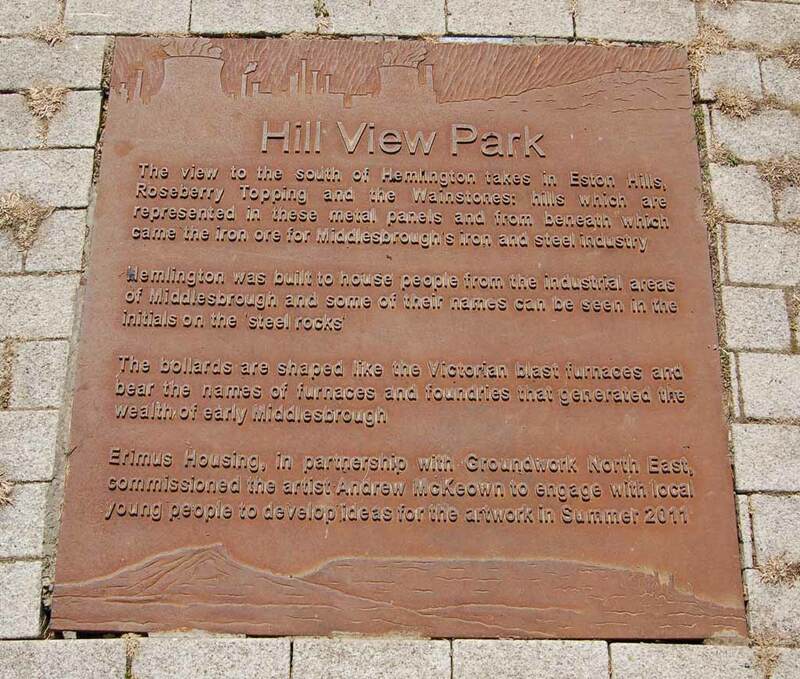 Hill View Park, Hemlington, Middlesbrough. 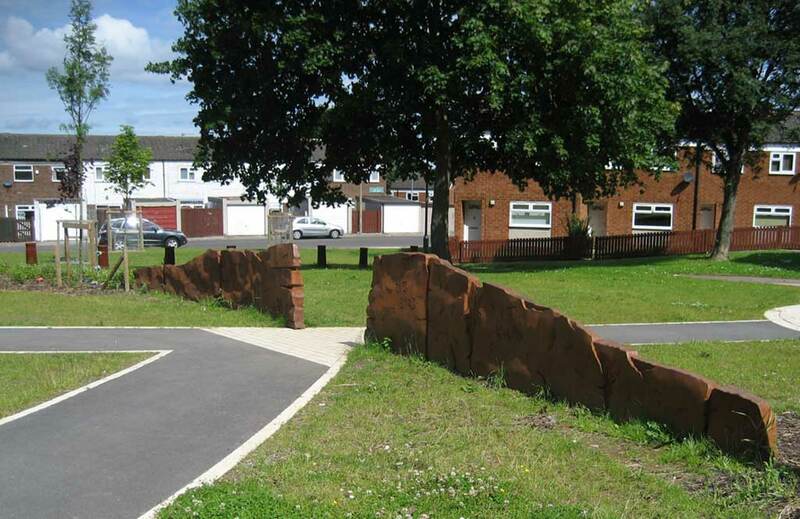 Core Ten Steel, 3 x 10m entrance features & 11 bollards. 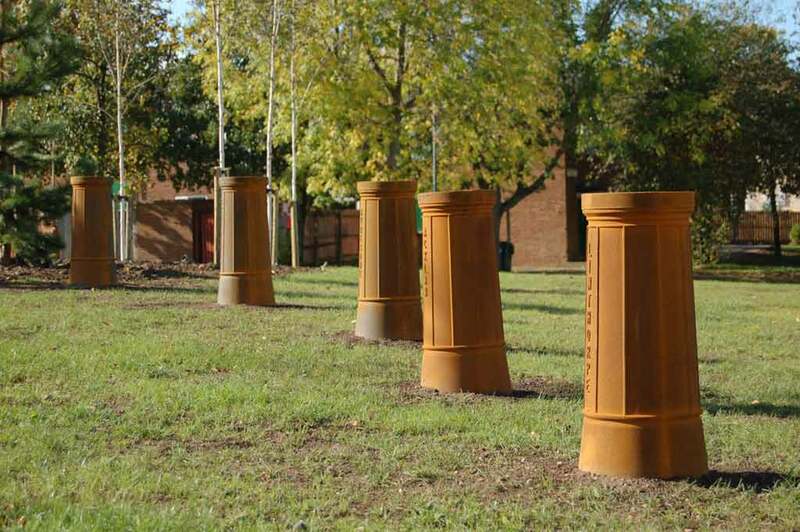 Clients: Groundwork NE & Thirteen. 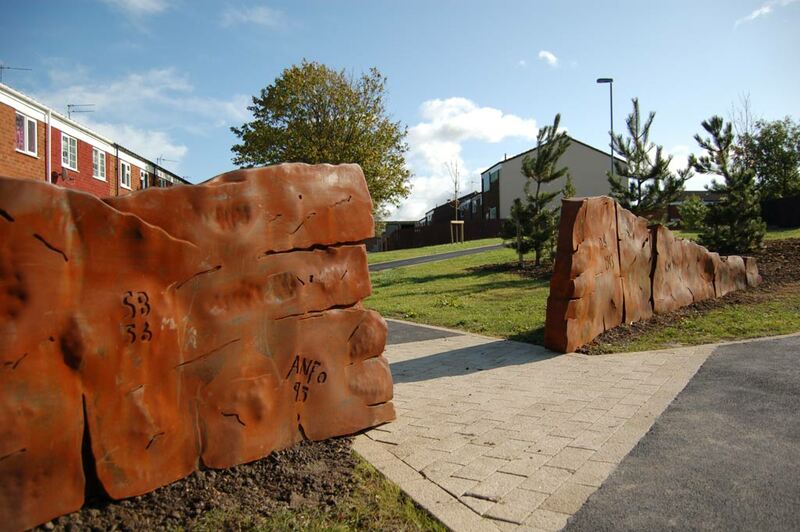 The view to the south of Hemlington takes in Eston Hills, Roseberry Topping and the Wainstones; hills which are represented in these metal panels and from beneath which came the iron ore for Middlesbrough's iron and steel industry. 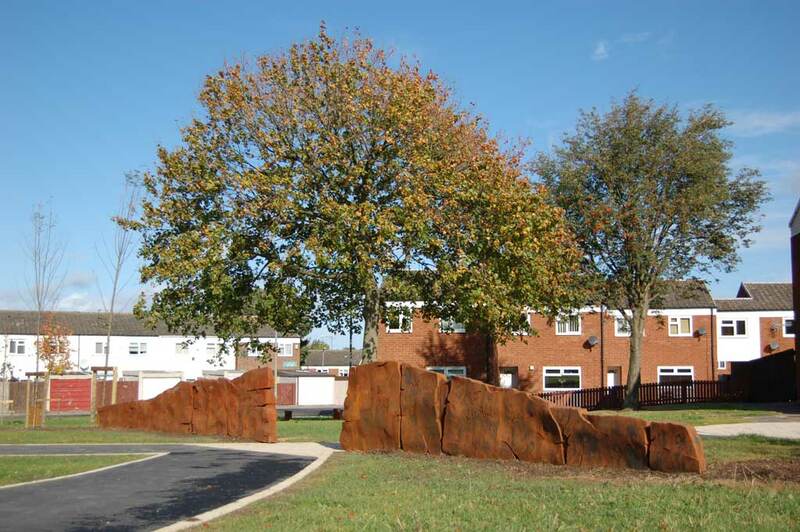 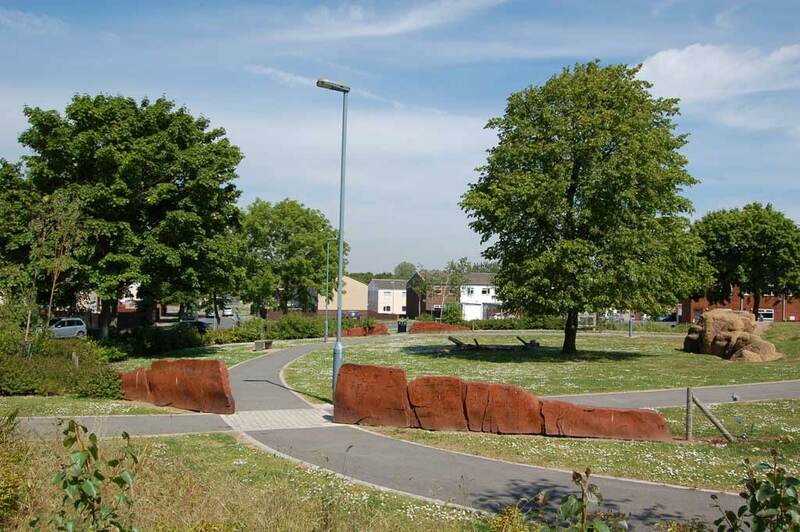 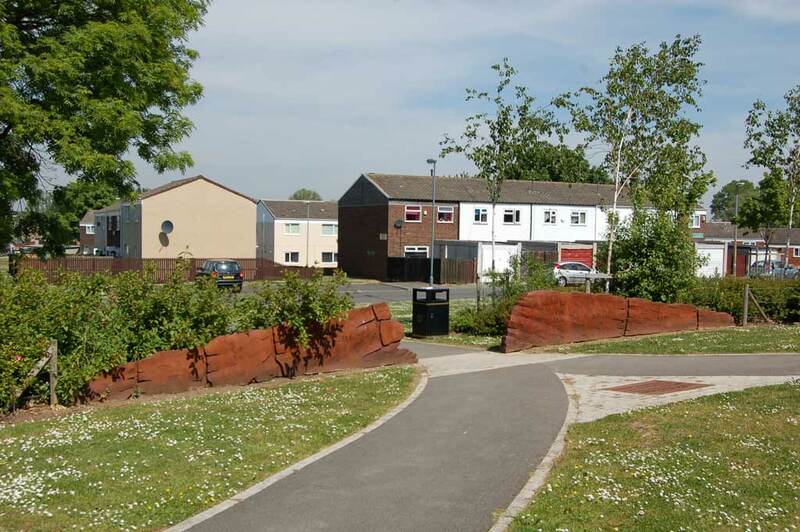 Hemlington was built to house people from the industrial areas of Middlesbrough and some of their names can be seen carved in the initials on the "steel rocks", echoing the ancient graffiti on the iconic rock formations. 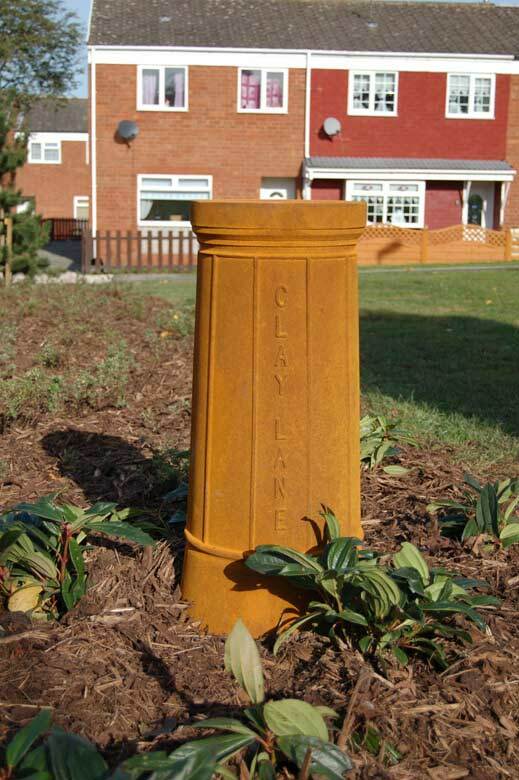 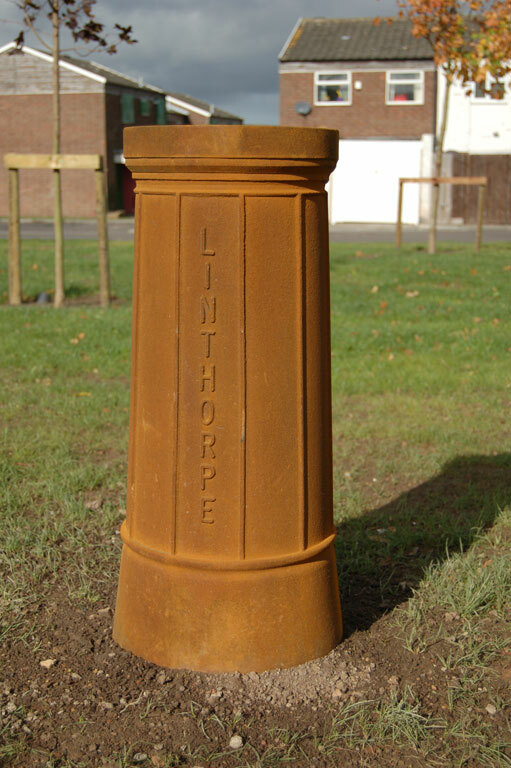 The cast iron bollards are shaped like the Victorian blast furnaces and bear the names of those furnaces and foundries. 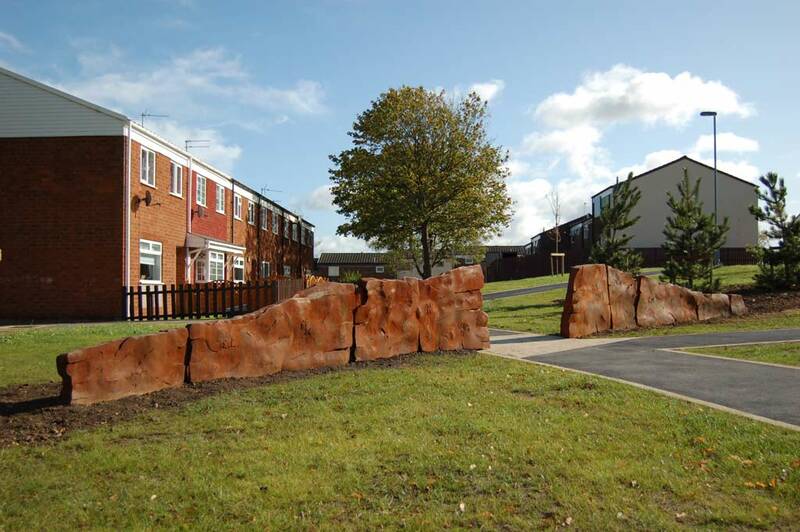 Erimus Housing & Groundwork North East, commissioned Andrew to work with local young people to develop the ideas for the artwork in 2011.